He said he would go after "bad hombres." This order allows him to go after soccer moms. For the past several days, there have been many, many stories about President Trump’s actions on refugee policy, and his administration’s travel ban for people from 7 Muslim-majority nations. But last week, the President also signed one other executive action that could have a big impact on immigrants in Michigan. The action spelled out how Trump’s administration would prioritize its deportations for undocumented immigrants. The plan Trump announced means lawmakers in Lansing could have a huge say in who will be targeted in Michigan. 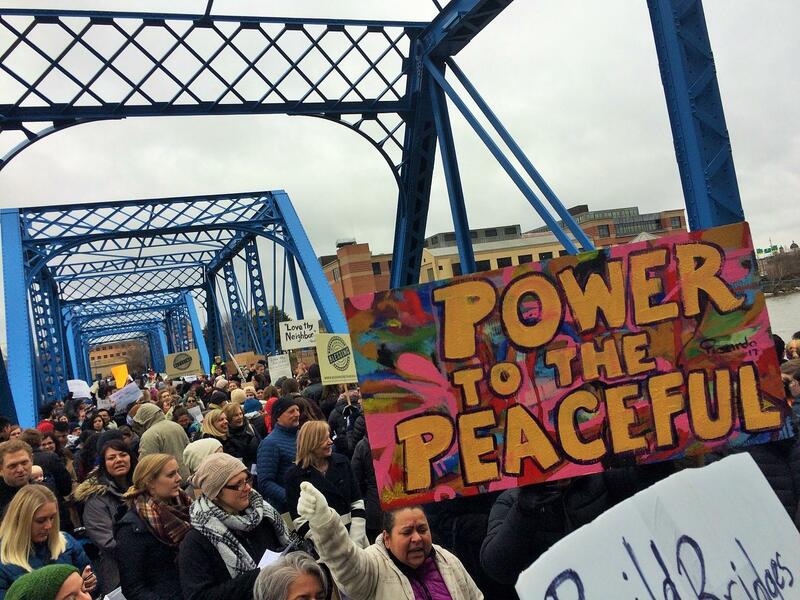 Last Thursday, a few hundred protesters gathered on the Blue Bridge in downtown Grand Rapids to demonstrate against the President’s immigration and refugee policies. There were speakers, including Gema Lowe, an activist and organizer with the Micah Center in Grand Rapids. "The immigrant community is in fear," Lowe said. "If you can see around us, there’s hardly any immigrant community here." "Things are kinda getting scarier, throughout the days," says Brandon Reyes, a college student in Grand Rapids, and an immigrant. He didn’t make it to the protest -- not, he says, because of fear, but because he had work that day. Reyes is allowed to legally work in the U.S. because he signed up for President Obama’s deferred action program, known as DACA. Last week’s orders won’t affect his status. But the President’s order titled Enhancing Public Safety in the Interior of the United States could have a big impact on his family. Just being in the United States without papers is not, technically, a crime. It's a civil violation. "I didn’t want to read it," Reyes says. "I’ll be honest. It’s like when someone gives you a letter and it’s really important and you don’t know what they’re going to talk about in it, that you don’t want to open it." The order signed by President Trump last week says immigration officials will prioritize deportation for undocumented immigrants who’ve committed crimes. Except that just being in the United States without papers is not, technically a crime. It’s a civil violation. So, how do enforcement officers decide who is a criminal? The new order from President Trump goes back to an Obama administration policy from before 2014. It defines a criminal as anyone arrested, or possibly even just suspected, of a criminal act. No trial, and no conviction required. And the order says immigration officers will place a priority on “any” criminal offense, without regard to its severity. That part may be very important in Michigan. "I am concerned about those families that are just going about their lives and trying to contribute to our communities and our economies." Because, since 2008, Michigan has not allowed undocumented immigrants to get drivers licenses. So, under the language of the new order, a mother in Michigan who drives her children to school, or to soccer practice, is a criminal who can targeted for deportation. State Representative Stephanie Chang of Detroit, is trying to do something about that. "I am concerned about those families that are just going about their lives and trying to contribute to our communities and our economies," Chang says. "And they’re doing just that. But they are violating the law, technically, partially because our state has chosen so far not to issue licenses for undocumented immigrants." Last fall, Chang introduced legislation that would allow these immigrants to once again get licenses, as they did before 2008. Her bill died at the end of last term, but Chang plans to bring it back. "And people don't see that they sacrificed their lives to take their children to school," Brandon Reyes says. "They give so much, and they're the people that are more scared." Brandon Reyes is hopeful it can help his family. As a DACA recipient, he has a valid driver’s license. But he says there are a lot of parents in Michigan, trying to do the right thing, but who end up on the wrong side of state law. "And people don’t see that they sacrificed their lives to take their children to school," he says. "They give so much, and they’re the people that are more scared ... I wish Michigan would help with the license. But it’s not to me to decide that. It’s to them." State Representative Chang says she hopes to reintroduce her driver’s license bill sometime this spring. She already has one Republican colleague signed on to sponsor the bill, and she says she’s looking for more. A spokesman for the Michigan Secretary of State’s office says they have not formed an opinion on the legislation at this time. 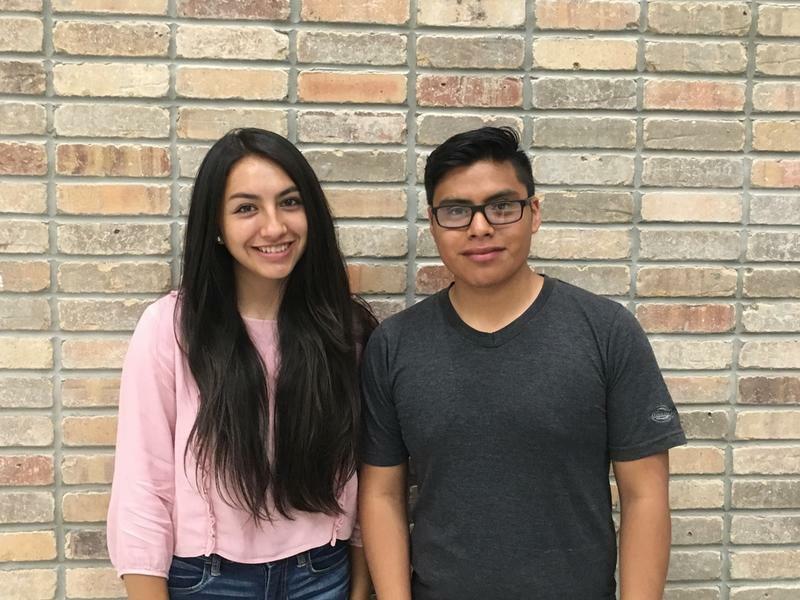 Two young immigrants in Michigan caught in the middle of an immigration stalemate are Daniel Lopez and Sendy Lopez. The two friends are not related. Daniel came to the United States from Guatemala when he was seven. Thanks to the 2012 executive order known as Deferred Action for Childhood Arrivals (DACA), Daniel is now among some 700,000 young people who are protected from being deported.